The attractive and easy-to-build tree shaped coat rack is made of MDF that can freely stand at the corner taking up less room. The standing coat rack's modern design elements bring a warm appeal to this skeletal grandeur of its leaflessness, a perfect way to put all of the foyer or entry space to good use. Finished in various colors, the clothes trees are designed with special hooks to hold coats, umbrellas, hats, and more. 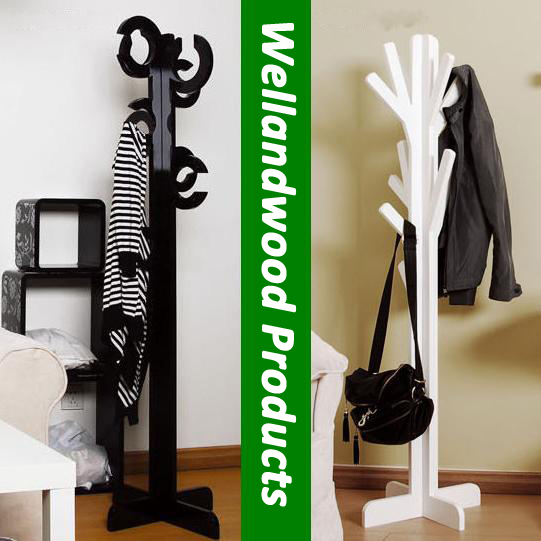 Unbelievable price on Wood Coat Tree free standing in Shanghai (China) company Wellandwood Co., Ltd.